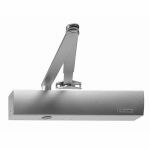 The Geze TS4000S Size 1-6 Silver Door Closer 102845 is a heavy duty overhead door closer with easily adjustable closing force set from the front. The back check and thermo stabilised closing speed with large optical display can also be regulated. It is a great way to close doors in public and commercial areas where there is a high volume of traffic. But with this product, it offers the size suitable for all door types which is quite rare to find in other door closers you may have come across before. It is a great product to use if you're not exactly what size you require. 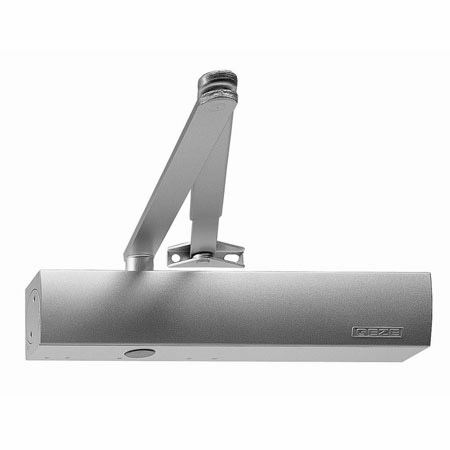 Best door closers, loads of options and best price online.